I'm struggling to get noticed. I'm not getting many sales. I'm unsure of how to update my Etsy shop. I'm confused about where to start with improving my business. This 30 Day Challenge Will Help You With All Of That! You can start making simple, but effective changes today!! MOST IMPORTANTLY USE THIS PROCESS AGAIN AND AGAIN TO GET BETTER RESULTS EACH TIME. 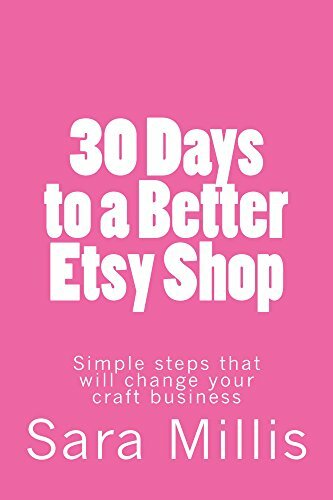 Welcome to the ’30 Days to a Better Etsy Shop’ challenge. By the end of the 30 days, I hope to have given you lots of food for thought to make your own action plan.